The Supreme Court on Friday held that the benefit of the Probation Of Offenders Act 1961, can be extended to offences for which the legislation prescribes a minimum sentence, but grants discretion and the courts, for reasons to be recorded in writing, may award a lower sentence or not award a sentence of imprisonment. 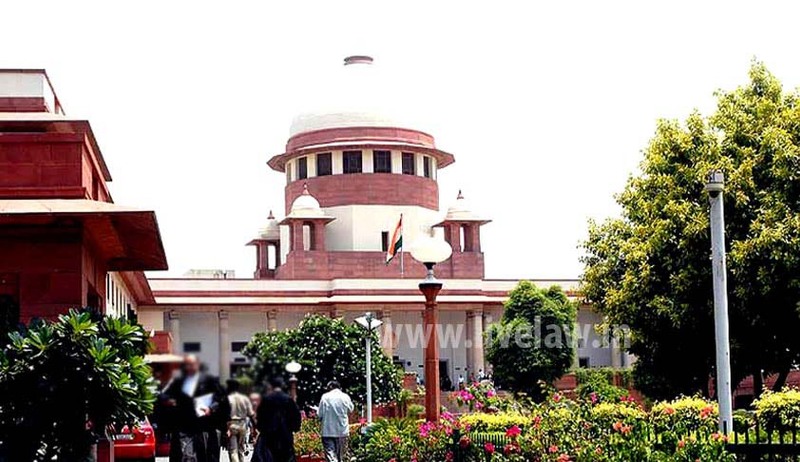 A Division Bench comprising Justice Dipak Misra and Justice Amitava Roy was hearing an appeal filed by de-facto complainant against the orders of Allahabad High Court and Sessions Court, extending the benefit of the Probation Of Offenders Act 1961, to the accused who were convicted under Section 498-A ,323 of IPC and Section 4 of Dowry Prohibition Act 1961. It is submitted that as the accused were convicted under Section 498-A of IPC and Section 4 of the 1961 Act, they could not have been conferred the benefit of probation on good conduct, for Section 4 of the 1961 Act prescribes a minimum sentence. The bench first considered the issue whether minimum sentence is provided for offences under which the accused were convicted. The bench observed that in Sections 323 and 498-A, there is no prescription of minimum sentence. The counsel for the appellant argued that the legislature has stipulated for the imposition of sentence of imprisonment for a term, which shall not be less than six months, and the proviso only stated that sentence can be reduced for a term of less than six months and, therefore, it has to be construed as minimum sentence. But the bench observed that when the legislature has prescribed minimum sentence without discretion, the same cannot be reduced by the courts. The bench held that minimum sentence means a sentence which must be imposed without leaving any discretion to the court. “It means a quantum of punishment which cannot be reduced below the period fixed. If the sentence can be reduced to nil, then the statute does not prescribe a minimum sentence”. It held that a provision that gives discretion to the court not to award minimum sentence cannot be equated with a provision which prescribes minimum sentence. It also added that the two provisions, therefore, are not identical and have different implications, which should be recognised and accepted for the PO Act. The bench found that the high court has exercised the jurisdiction in a perfunctory manner and observed that the high court should have been well advised to rectify the error. Though the bench made it clear that there is no minimum sentence for the offences in this case and hence, the provisions of the PO Act would apply, it set aside the judgment and remitted the case back to the high court for fresh disposal in accordance with law.